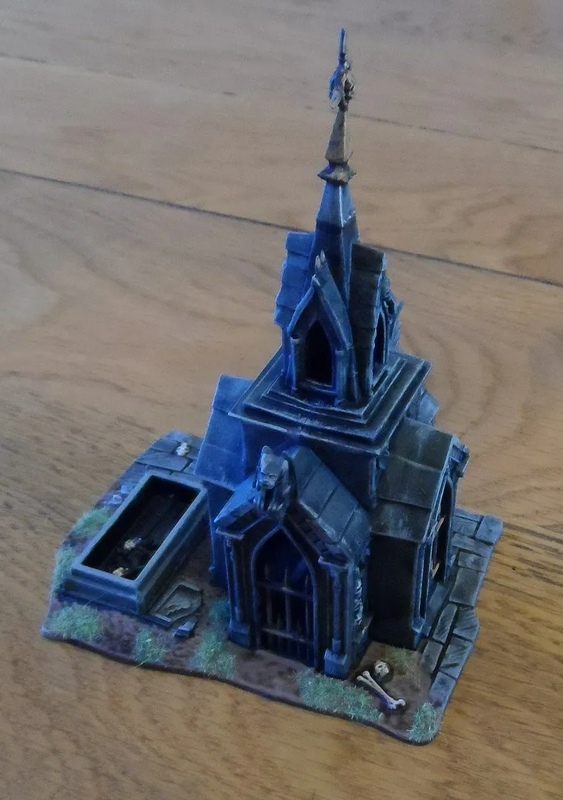 Again, the structure comes separate to the abse, so would be excellent for a Mordheim scenario…if you’re into grave robbing. I’ll get all the pieces of this set together and take a piccie tomorrow hopefully. 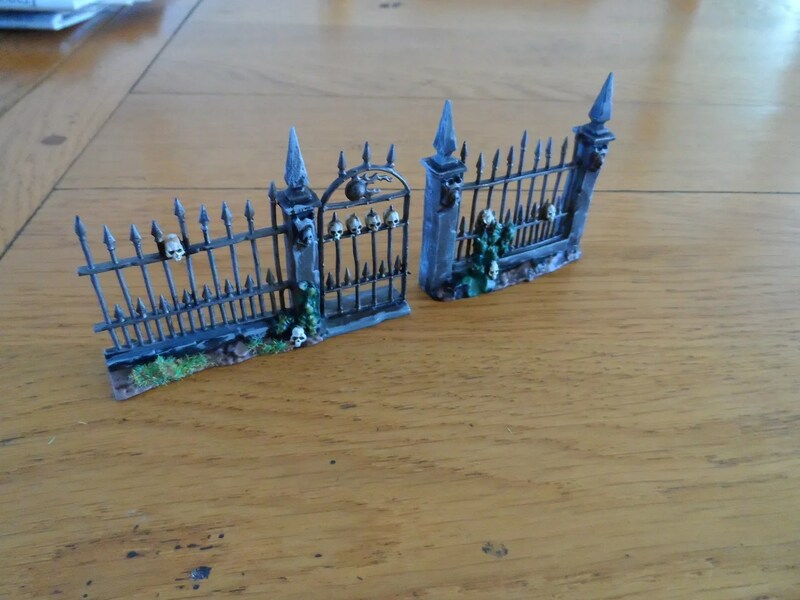 …walls and fences, probably came wit the WHFB buildings set that I have decided to keep and am part way through painting. Nothing too exciting, but another set of tiems knocked off of the “To-Do” list. Or were they, just another brick in the wall ? 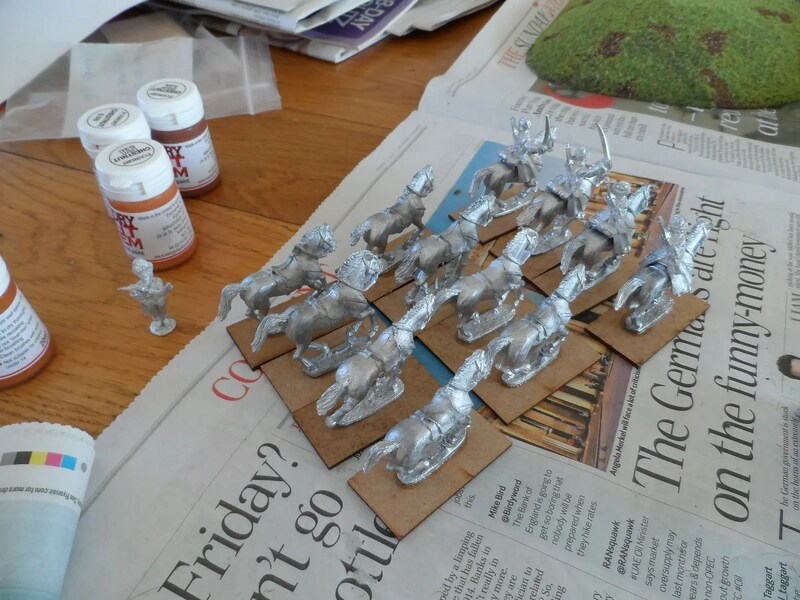 Or is it just my reaction to the rumours of WHFB v9, and because I’m busy painting Bolshevik Cavalry ???? 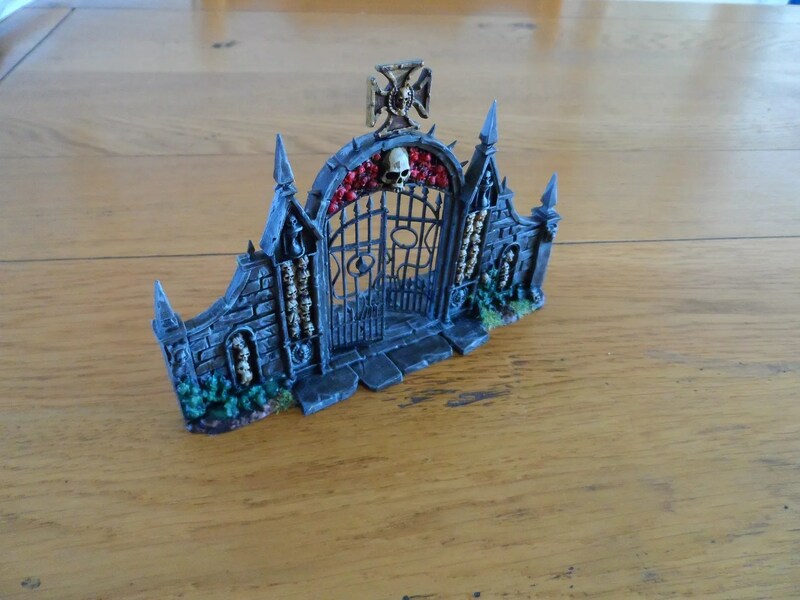 A Brigade Games model assembled by Byakhee Richa and myself some time ago. One sponsoon was armed with a 6-pounder and Hotchkiss, the other side with two Hotchkiss’. As with the Male and Female Masrk V painted earlier, I’ve painted it a drab Khaki. Some sources suggest they might have been painted a chocolate brown, others a Navy Grey. A few sources suggest a three part camop pattern may have been used of drak brown, light brown and blue/grey in a manner similar to the German camo patterns of 1918. YMMV ! I’ve painted the white/red/white which seems the most common marking on the “horns”, again, there are suggestions that the tanks received by the Whites in the AFSR during the RCW were marked in this way, with a few changed to the White/Red/Blue national colours. Given the paucity of info and their rarity, I stuck with the red/white/red to maximise use across all fronts for WW12/RCW and even AVBCW games. Yes, you read that right, Tanks at Wool. Wool is a small village near where I grew up as a kid in south Dorset. Now my father is an avid steam train spotter/fan, and last October I bought him an obscure book on the subject that he wanted. When I received it I had a quick flick through it, and spotted a couple of interesting photos of tanks being loaded onto trains…at Wool. The use of breakdown cranes for other work is clearly illustrated in these views taken in Wool Station yard during the summer of 1931 involving the Salisbury crane. 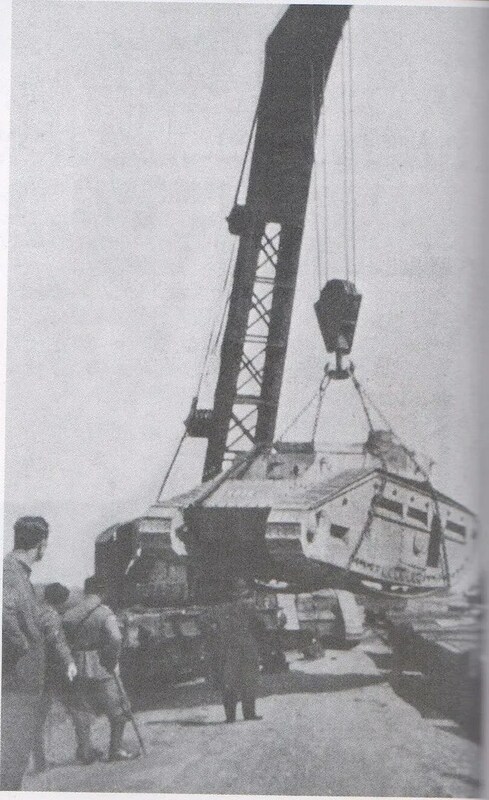 The top view shows a Mk V heavy tank in the foreground, whilst in the lower the crane is lifting a Medium C tank onto a wagon. 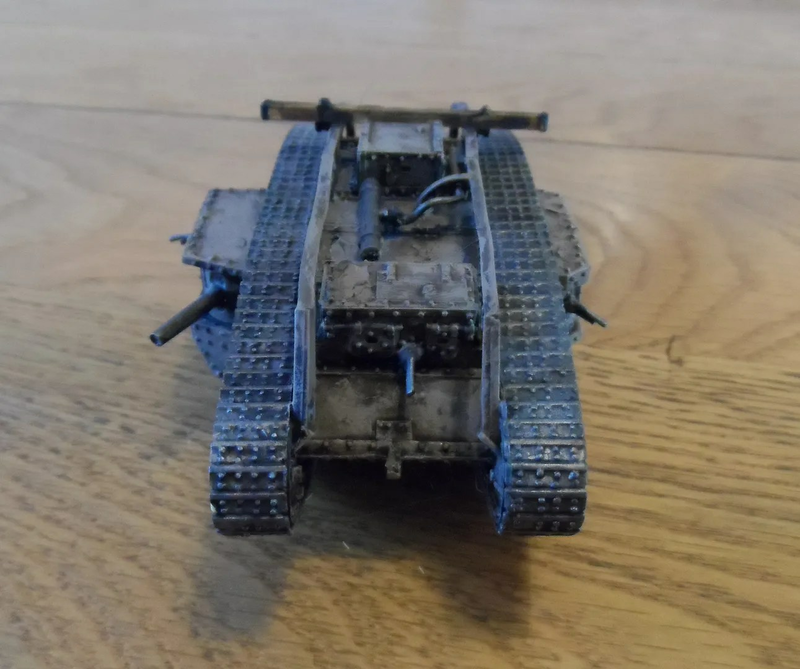 NB: Actually, in the top view there is a Mark V heavy in the background, with the Medium C tank in the foreground. If you look carefully, in the lower picture, as the Medium C is being lifted up, you can see the Mark V tank’s tracks just underneath it in the background. Wool was the junction from which a single branch line to Bovington military camp was built in c1917-1918 by German POWs (there was at least one photo of them marching dejectedly along). The line was built to accommodate the movement of tanks (700 present at Bovington in 1917). 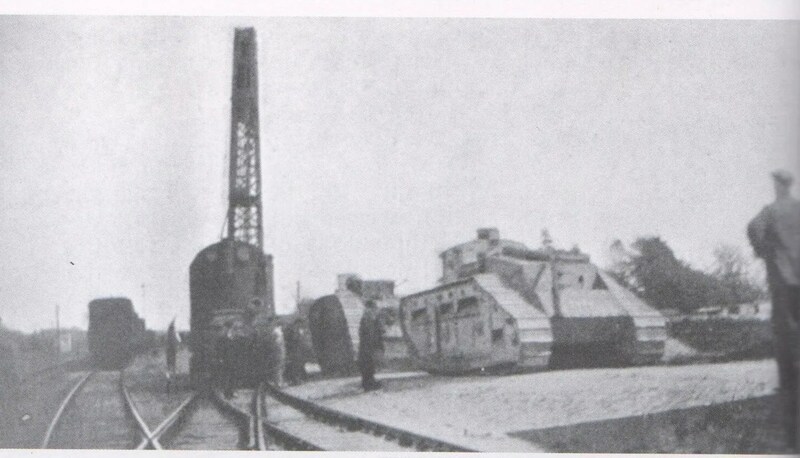 After the war, damaged and captured enemy tanks (?) were shipped to Bovington for repair or scrapping. 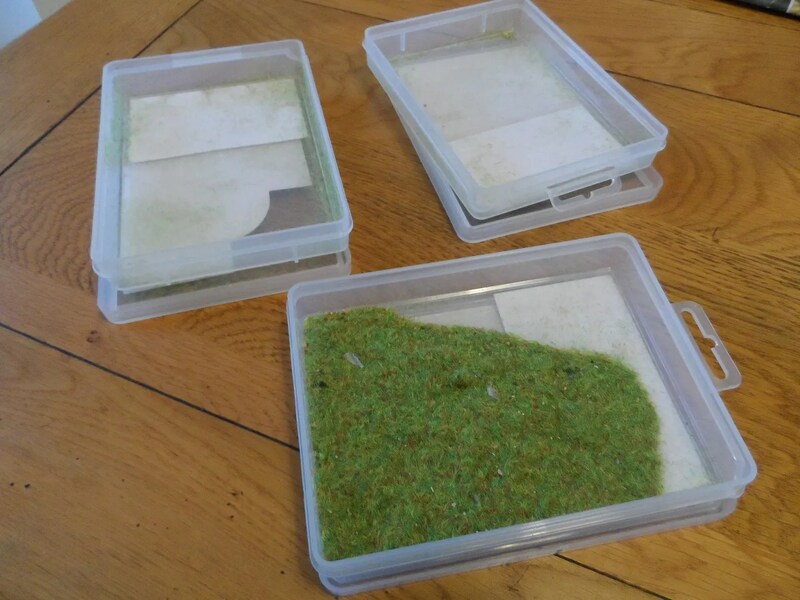 Some were also distributed from there either as scrap, or as exhibition tanks. This kept the branch line and Wool busy for many years after the war. So an interesting find in a totally unrelated history book. 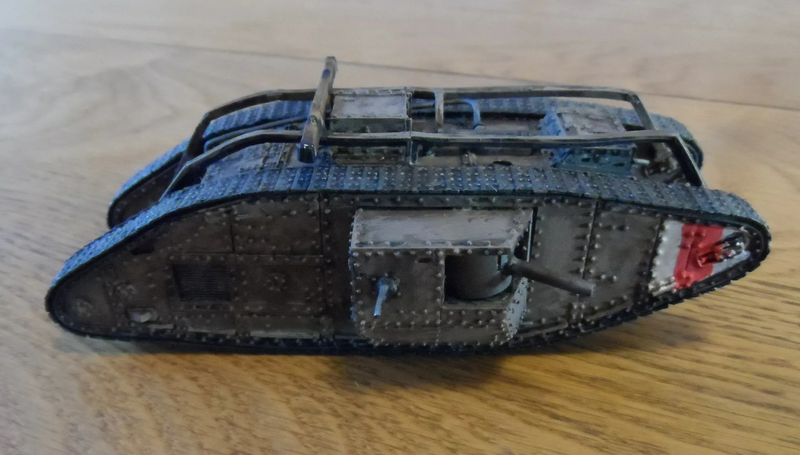 For the AVBCW it indicates that there were still some late WW1 tanks still knocking about, and in particular the tanks designed for WW1 that never got to see action. I had to wait until Xmas before I could ask my father if I could scan the photos as I didn’t want to break the spine of his new book. I am guessing that these tanks were on the way to be broken up for scrap, but it remains an intriguing “What If ?”…if someone had diverted them to other locations just in case…. 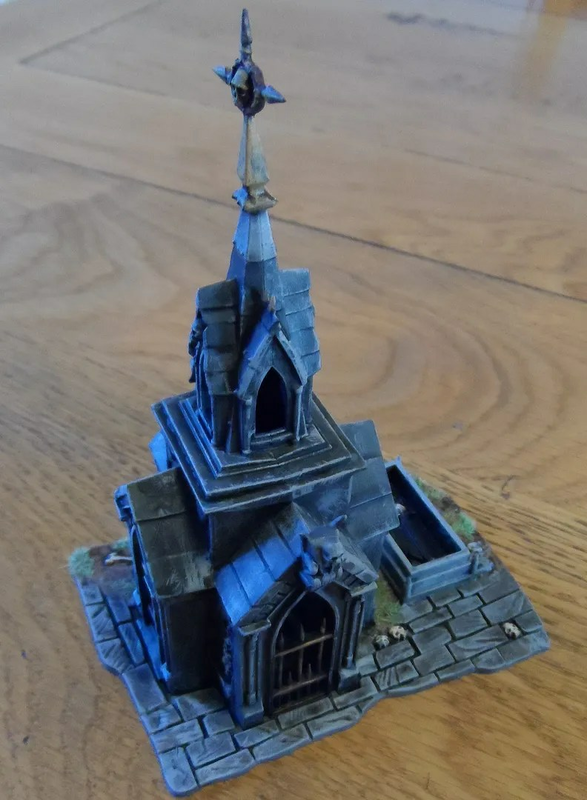 Well I entered the New Year with high hopes of updating the blog with Xmashammer, and all the wonderful projects I was finishing off plus a battle report from the eschedulede WHFB game on the 10th January. 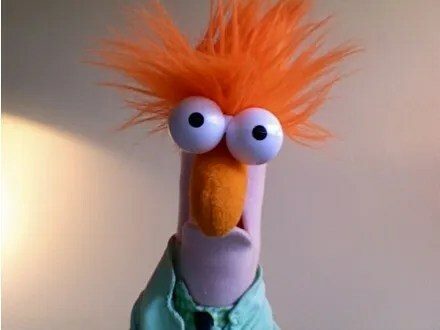 Instead, here is a “Selfie” I took after the game on the 10th, because I realised 3/4s of the way through the battle I had failed to field my Carnosaur which had a material outcome on the battle. This, and procrastinating about editting the photos from Xmashammer and the game on the 10th has led to a lack of updates. 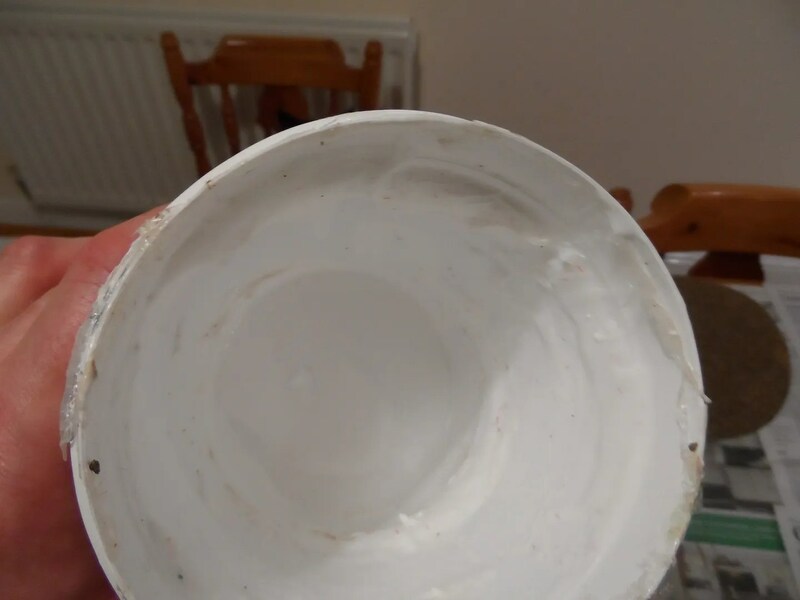 But during this time I have been busy with some actual model making – so much so that I finished off another PVA tub before it had time to develop a skin as it dried out. 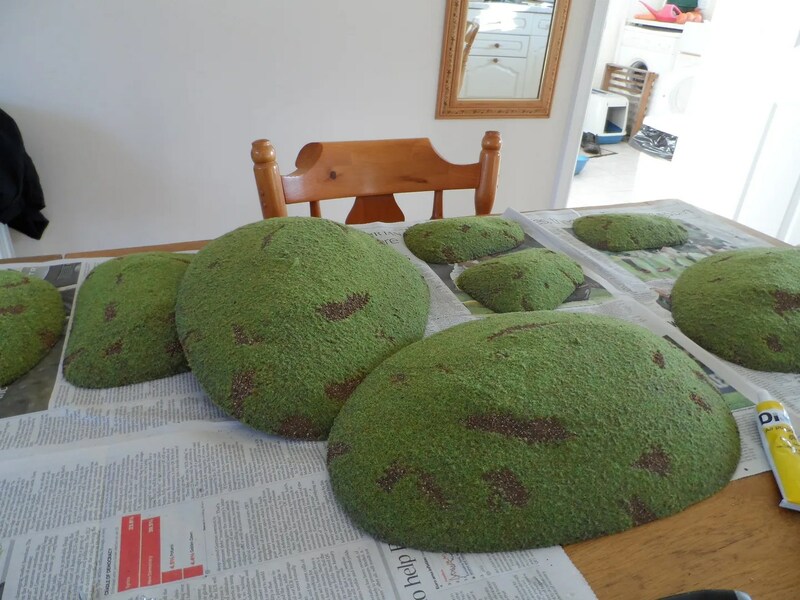 Finishing off the hills from Kallistra for the AVBCW game, I now have about 16 hills so that should be enough for the two tables I intend to decorate with my scenery. Not content with that JP & I are well on the way for planning the next two Big Games in February and March. 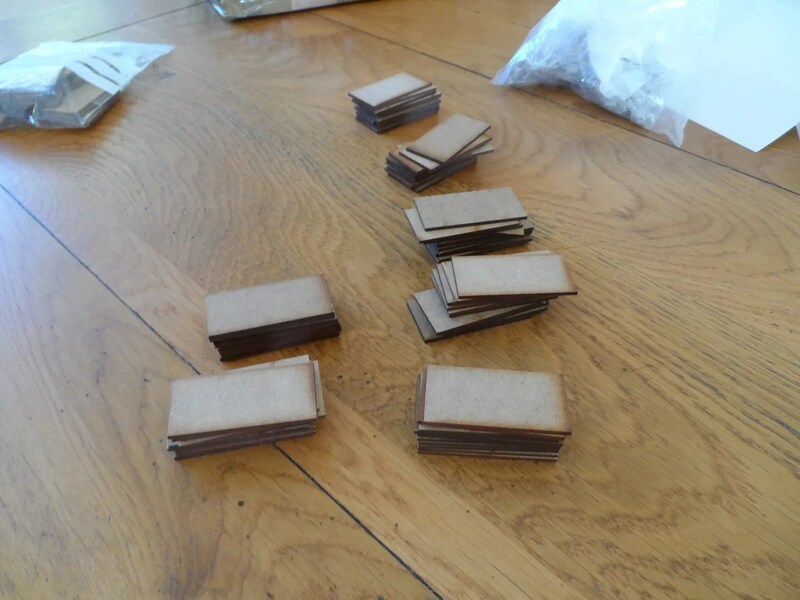 This neccesitated an order from Foundry of LOTS of Cavalry bases, two bumper packs to be precise. 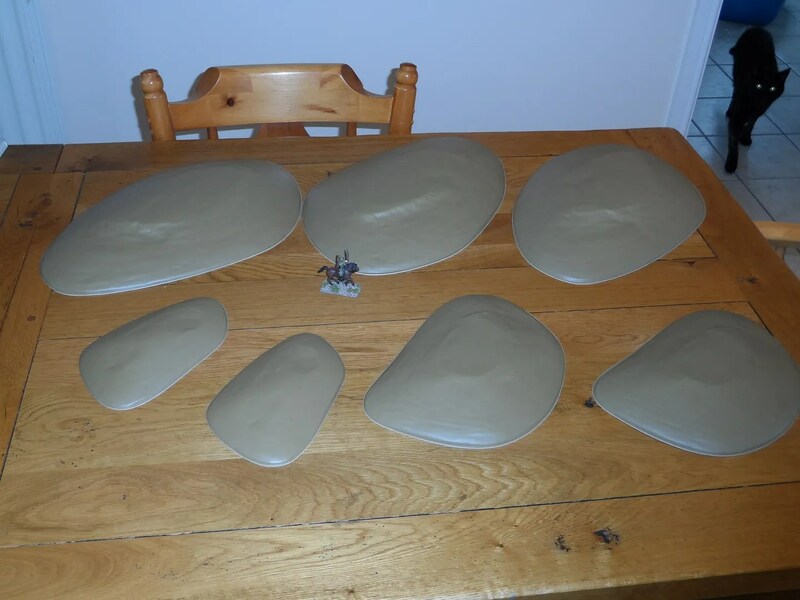 I had to spend time confirming with Foundry that the bases were still available. their web site is not to put too fine a point on it crap. They were immediately used to base another unit of Bolsheviks I had to fill out with a small order from Copplestone as I was inexplicably short by 4. Hopefully this will break my block on editting the 100+ photos from Xmashammer, and the 20+ from the 10th and should have more material up tomorrow. 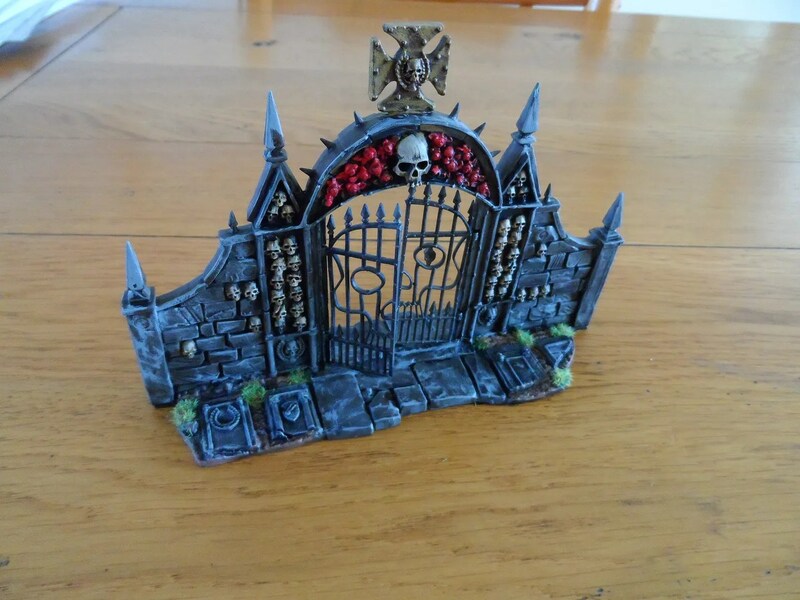 WHFB: Garden of More Morr ! the fences – front and back. You get two identical sections in the set. This is the only point where I have seen mould marks – see the back of the pillars for the small round indentations. 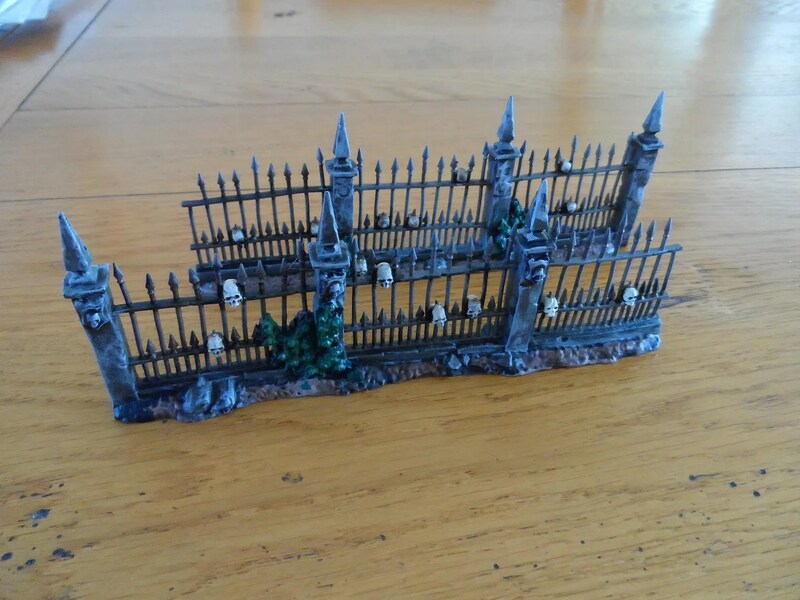 The walls, not sure on building regs WRT skullz, as they aren’t the sturdiest of materials, but it reminds people that the whole place is a ossiary. 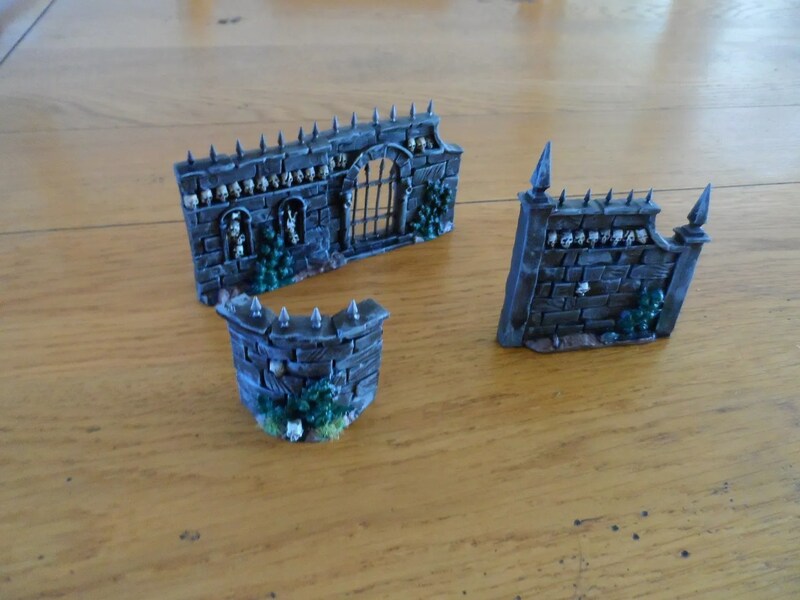 i’d started painting these up before Xmas, in preparation for Xmashammer 2015 – Sigmar’s Blood, which Byakhee Jim wanted to play out over the two days. For various reasons that didn’t come about, but as they were half done, I decided to continue and finish off the pieces of this set. Days of bad lighting have prevented me from photoing it, and now barely an hour later the light has again turned for the worse. Very frustrating. More (!) fittingly, here’s the Sisters of Mercy…. 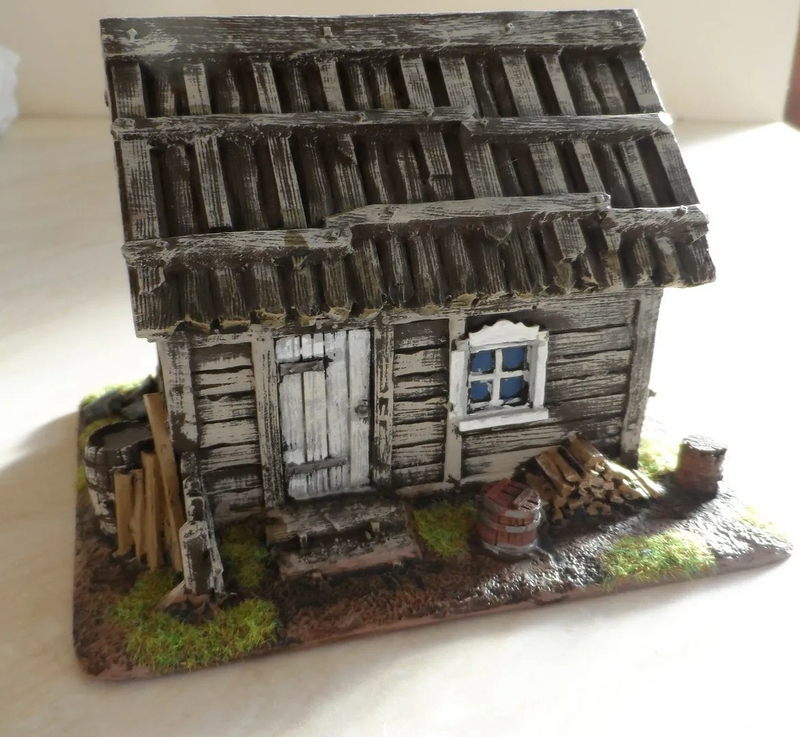 On the painting table for some time was this new cabin from Grand Manner who have come out with a small but excellent range of Russian/Eastern European buildings. 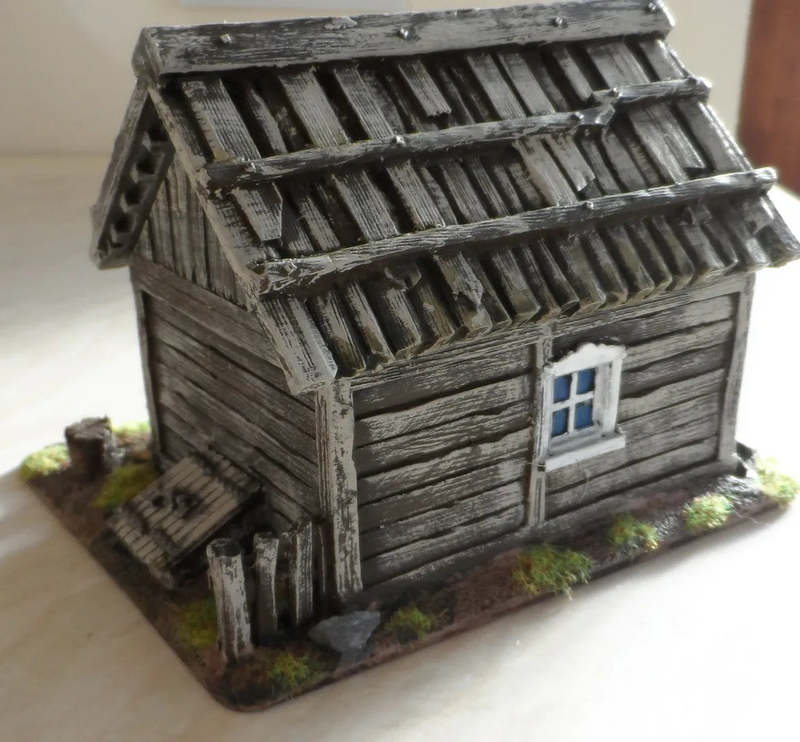 Pricey, but their quality is very good, they’re also more true to 28mm scale than some other manufacturers. 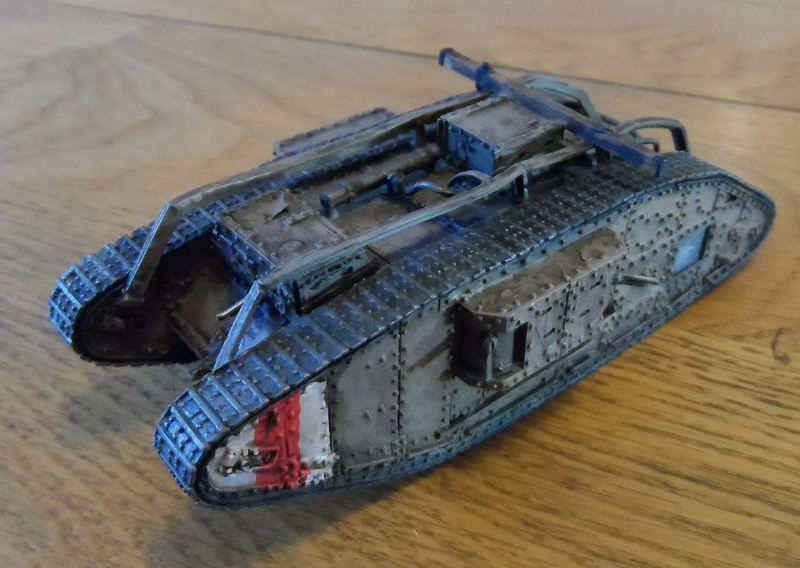 Paints up nicely though, and done well before my planned BoB Big Game on the 21st February. Currently 11 of us attending, if you want to pop along, its based in Hereford (UK), add a comment to this message and I’ll pick it up and PM you. Oldhammer Dwarves properly put together. That’ll be my lot, as I am trying to avoid too many new projects. I’ll probably cram in a few more pieces of scenery for all of the above games, and I haven’t even mentioned my Laserburn project ! Oh, and listening to some more ambient and hard rock soundscapes whilst doing that and getting a new job. I also need to continue to clear out excess amounts of the lead mountain.